Sustainable for who the Nefilim and their Globalist minions or humanity ? Here are the 17 new goals, with links to pages on the United Nationsâ€™ website that list the targets associated with each goal. Google Alphabet colors? And what's with the fertilizing egg with multiple sperm bit? GMO Agenda21? In a historic move, some 160 Heads of State and Government gathered at a special United Nations (UN) General Assembly meeting in New York on 25 September to adopt the new Sustainable Development Goals (SDGs). The long-awaited era of the post-2015 global development agenda has begun. The summit document, Transforming our world: the 2030 agenda for sustainable development, with its 17 goals and 169 targets, is a call to action in five vital areas, encompassing people, planet, prosperity, peace and partnership. This universal, integrated and transformative agenda aims to spur action that will end poverty and build a more sustainable world over the next 15 years. Before the opening of the UN Summit, His Holiness Pope Francis addressed the gathering, where he spoke about the need to protect the natural environment and put an end to exclusion. The UN Secretary-General Ban Ki-moon took the floor during the opening ceremony and a brief address was given by Nobel Peace Prize Laureate Malala Yousafzai. 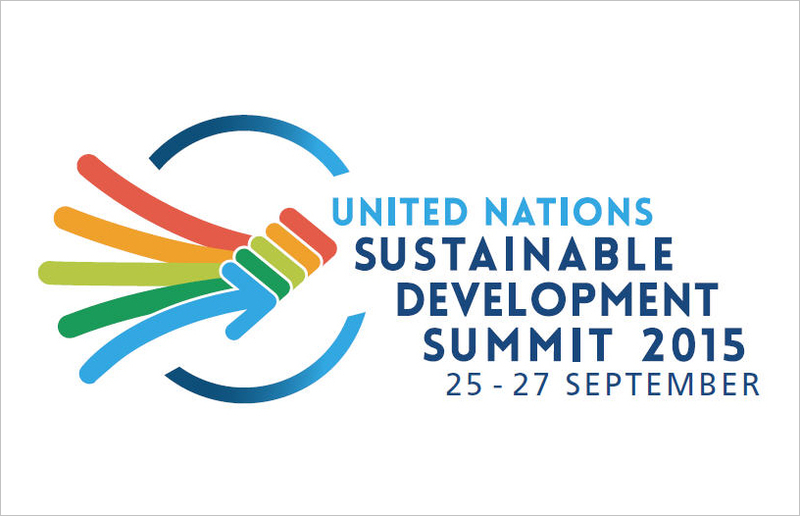 The Sustainable Development Summit, taking place during the seventieth session of the UN General Assembly, will explore six specific themes over two days in interactive dialogues, before a final closing plenary session. These themes include ending poverty and hunger, empowering women and girls and leaving no one behind, fostering sustainable economic growth, combating climate change, and building effective, accountable and inclusive institutions. The SDGs are the result of a three-year-long participatory process. The decision to launch a process to develop a set of SDGs was made by UN Member States at the United Nations Conference on Sustainable Development, held in Rio de Janeiro, Brazil, in June 2012. Kill ourselves off so the Nefilim who are hiding out in the Vatican can roam around on the Earth freely and use the Earth as they see fit. Ha ha ha ha ha ha ha ha ha ha ha ha ha ha ha ha ha ha ha !!!!!!! Does it ever bother yo that nobody agrees with you? Even on here. Who says nobody agrees with me ? I am here to present the truth just like anyone else. Homo Capensis bones are real.... The Nefilim interaction with Sumerian, Babylonian, Akkadian and Assyrian cultures are real. Karen Hudes big Nefilim exposure is real. Think about it the Globalist plans of today match up with how the Nefilim ran Earth when it was just 2 cities the Abzu mining city and the Edin plantation.... Controlling humans in little city states. If infowarriors want to keep on fighting and exposing the Globalist humans and be satisfied with it fine, they are doing some good. However just treating symptoms is not good enough we have to go after the source. If the reality of the Nefilim funding and ordering international kakistocracies to start wars and reduce the human population on this planet to 500,000,000 and using human traitors known as Globalists to do so is too much for you to open your mind too then you have no business being on a forum like this. No ALETHEPHOBES or SOPHOPHOBES !!!!!!!!!!!!!!!! I wouldn't say no one believes him. It's just hard to have substantial evidence that you can show people. Sure it's written in the bible and forbidden books of the bible, but we have a hard enough job showing people chemtrails that are coming right out of the back of a plane and crisscrossing our skies, let alone convincing people otherworldly creatures have had a hand in humans history and still might on some level. You are most welcome to continue posting here. You are polite, loyal, and a hard to working towards the goal over throw of the New World Order. We might think your a tiny bit crazy with your theories, but hey, crazy can be good. Please continue to hang around, and continue to post. As for true insanity - that would be believing the main stream media. Something I think we can all agree on. Lets face it, nobody round here thinks WT7 fell to the ground at free fall speed all on its own.